Size matters. Especially when it comes to starships, giant monsters, buildings, and . . . well, pretty much anything else that you can obsessively categorize using common measurement systems. 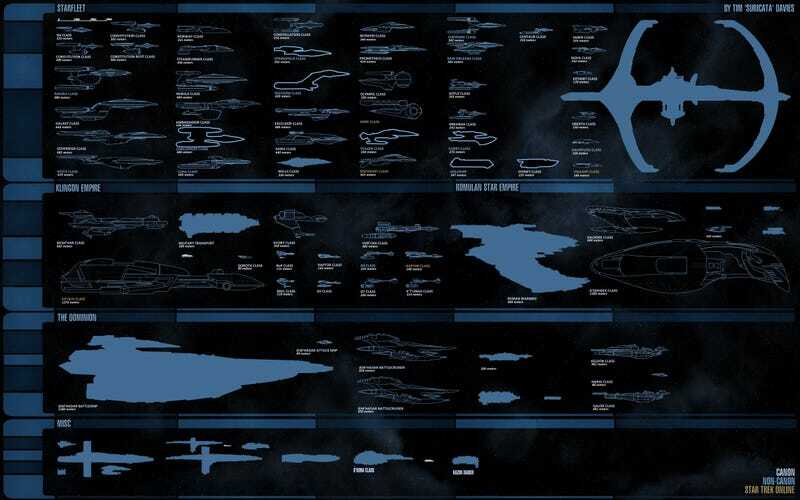 Here are some of the most outrageously detailed size comparison charts you'll ever see. Check the chart in full size here. Watch the chart in full size here (PDF).